He’s a prodigy the world can’t stop talking about. 18 year-old DJ/producer Curbi’s passion to evolve his own unique sound is stronger than ever, while he continues to prove himself as a leading name in electronic music’s next generation. 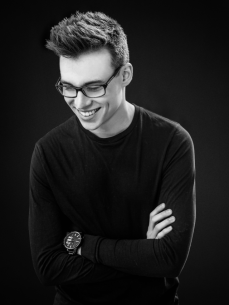 Only a few short years ago, at the tender age of sixteen, Toby (from Halsted, United Kingdom) signed to the world’s leading dance music label Spinnin’ Records and renowned artist agency MusicAllStars Management, becoming an instant hit across the globe. His breakthrough followed tremendous support for his debut single ‘Discharge’, which gained over 7 million plays and catapulted him into the spotlight. The music never stopped, with Curbi dropping incredible releases one after another. ‘Hoohah’ with Fox Stevenson (10 million plays), ’51’ (3.5 million plays) and latest solo release 'Shinai' (1.5 million plays) are just a small selection of his impressive musical achievements so far.